Blood Ancestors Gets Early Access Release on August 16, 2018! Independent Spanish developers Snowpeak Studio have announced the Early Access release date for Blood Ancestors after a successful launch of their alpha. 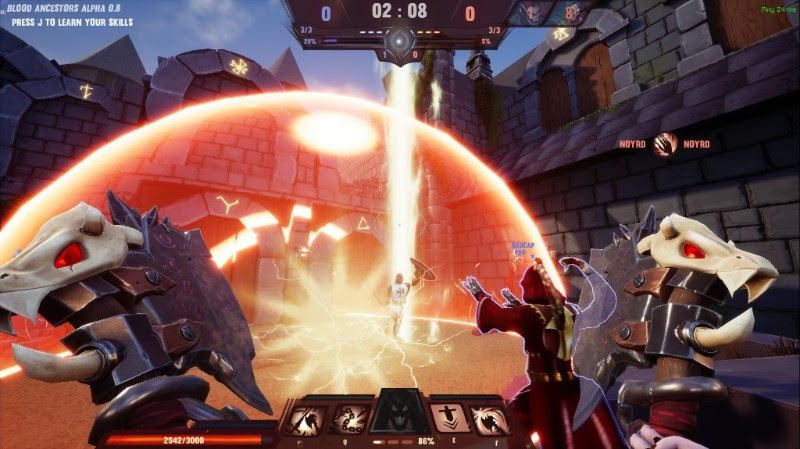 You will be able to play the Early access of the medieval fantasy team-based competitive multiplayer on August 16, 2018. Blood Ancestors is an objective-based first-person competitive multiplayer that pits teams of five against one another in melee-centric combat. Your team is to claim the Relic and be victorious throughout two phases of strategic arena battles. While playing the Early Access launch, you will be able to select from 6 different classes with the number increasing to 18 by the title’s full launch. Players can build their character around their preferred playstyle by choosing from various talents in each of the three talent trees of utility, defense, and offense. You can download the Blood Ancestors alpha on Steam now for free. Snowpeak Studio, SL is a young indie studio which is based in Vielha, Catalonia, Spain. The backbone of the studio is composed of seven professionals currently developing Blood Ancestors. Snowpeak’s goal is to create new and innovative games to fill the empty spaces in the current game industry. Previous:The Geekiary Briefs: The Popular Film Oscar, Matt Smith’s Patient Zero, Control Dev Diary & More! Next: Does Voltron Legendary Defender Season 7 Deserve The Queer Representation Points It Wants?